Some #electronics_scams for August 2018 | NoScams Scam Advisor! 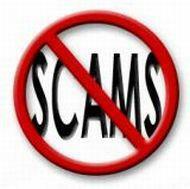 Don't fall victim to electronics scams! Some #electronics_scams for August 2018. The Chinese websites are usually no delivery sites, the international websites usually just want to get your credit card number. Be careful! June 2018 – more #electronics_scams found! eastlinkintlindustrialltd > might be legit. Be careful anyway. myonesky > Same. I would prefer to deal with a Hong Kong company though. This company for example has no company information. They write 6 years of experience – but the website is is only registered in 2017. They have certainly a problem with honesty. 3komsel > I need a website to comment. Indonesia is not a technology country anyway. Did you find out who of them is genuine? Especially the 3komsel?